Apple’s developer beta program is pretty robust, and during their beta lifecycle, Apple’s products (software) see regular updates as they move towards their final versions. Just like how Apple released iOS 9.1 beta 1 ahead of public release of iOS 9.0, today Apple has seeded El Capitan 10.11.1 beta 1 ahead of OS X El Capitan 10.11 public release which is scheduled for September 30th. 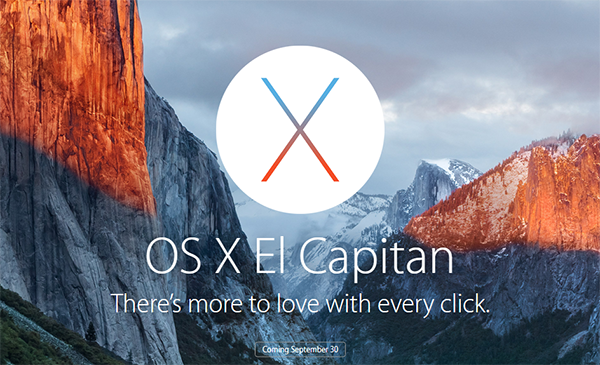 OS X El Capitan 10.11 is currently at GM candidate, ready for its official release in a couple of weeks time. The beta update that is now OS X version number 10.11.1, holds the build number 15B17c, and is being distributed through the regular update channel, i.e., Mac App Store for registered developers of Apple Developer Program. So what is new in this version of El Capitan? A closer inspection shows that this update introduces support for Unicode 8 characters in OS X, and brings a wealth of new emojis that adorn iOS 9.1 – the likes of taco, burrito, cheese wedge, hot dog, unicorn head and even middle finger are all included. Apart from this, the usual bug fixes and performance improvements are also expected to be part of this release. To grab this beta, you will need to head to developer.apple.com and sign in with your Apple ID to get a unique download code that you can then redeem in Mac App Store to download the beta software on your Mac. If you are planning to run this side-by-side with your current Yosemite install, you can configure El Capitan 10.11.1 in dual-boot configuration with Yosemite, instructions for which you can find here: Install And Dual-Boot OS X El Capitan With Yosemite On Separate Partition [Tutorial]. They will look like Milkingsoft when they hire a jungle monkey to replace Crook the fagget.